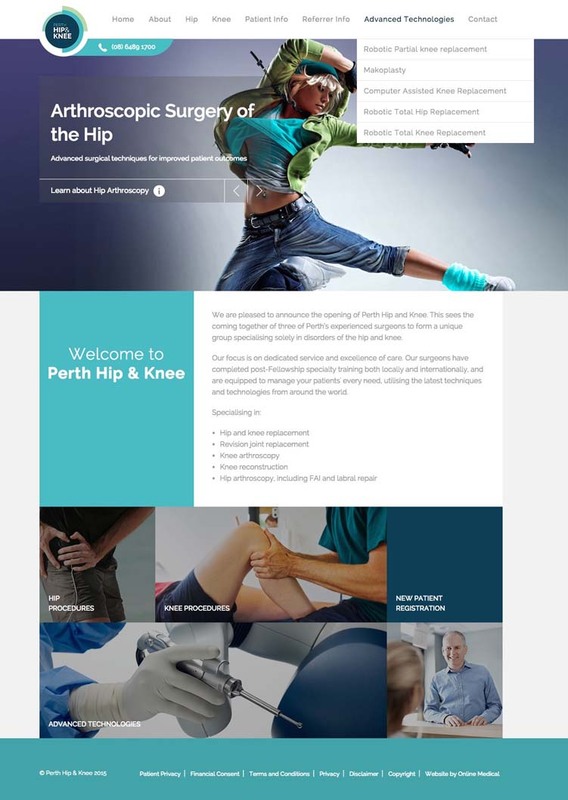 Quantum Digital managed the website design and SEO of an Orthopaedic Surgeon based in Perth. Shown here are the final and concept designs. A few adjustments were made to the concept design so there isn't a lot of scrolling on the homepage and the main services are front and centre. Pages of helpful patient information are included, as well as videos. We created educational multimedia patient videos on Orthopaedics mainly about the Knees, Hips, Foot and Ankle.